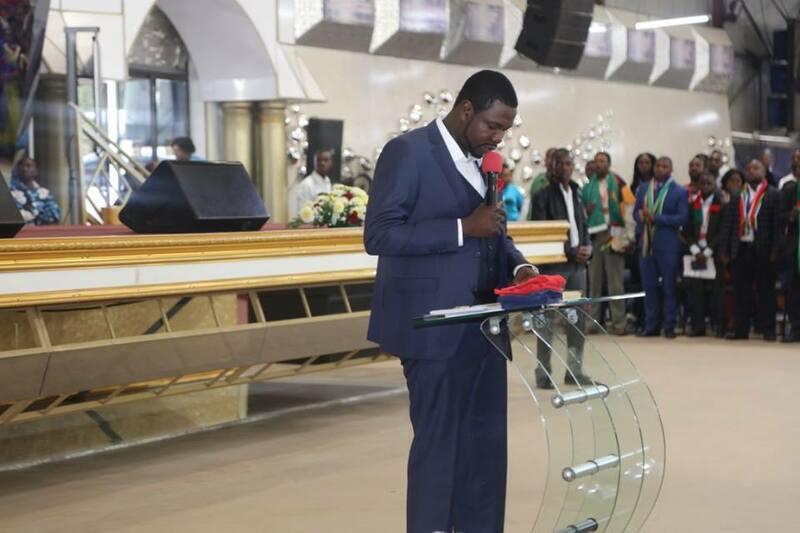 Embattled Prophetic Healing and Deliverance Ministries (PHD) leader Walter Magaya has poured his heart out about his legal woes, but said the silver lining was that government has agreed to put his controversial HIV/Aids drug through clinical tests to ascertain its safety and authenticity. Speaking at his Waterfalls church during a Friday service held just after attending court where he was charged with distributing and advertising his medicine without regulatory approval, Magaya said he was happy he has been given a chance to prove the efficacy of his product. His arrest came moments after he appeared at a press conference in Harare with Health and Child Care minister Obadiah Moyo, where he apologised for making a much criticised claim that he had discovered a cure for HIV/Aids, through a herbal mix called Aguma. “After I had given my public apology, with the minister, when I was going down from the ministry building, I saw a lot of police, riot, but after talking to them, they responded well and we went to the police camp. “So, I went to the police, gave my statement, after giving my statement, they asked me some questions, around 12 midnight, I was then released, came back home, went to court today (Friday). “I am not allowed to speak (on why he was arrested) and to comment on the matter because it’s already in the courts, but I will just tell you one sentence. “The reason why I was arrested is because of the... announcement, they said I did break the law by announcing what I have without a licence, but the good news of it is that I met the government yesterday, the minister, the deputy ministers and other officials and we have agreed, they have agreed to test,” he said amid uproarious applause from his congregants. “So, the stage we are getting into now, my cry has always been, give me a chance, so I think…through the voice of the minister, they have agreed to give the product a chance,” Magaya said to wild and animated guffaws from his congregants. Moyo yesterday told the Daily News there are certain processes that need to be followed for the drug to be tested. “No one is above the law when dealing with clinical processes, they should follow the country’s laws, even when he (Magaya) apologised we said it’s okay, but we cannot stop the raids. “Let me stress no one is above the law. The country’s laws have to be respected by everyone. He has to apply through the permanent secretary and then a team will be set up to look into his drug,” Moyo said, insinuating the process has not yet started. Magaya, who is out of custody on $300 bail, is alleged to have destroyed some of the exhibits by flushing his herbs down the toilet and burning their containers, but some half-burnt containers were allegedly recovered during a search at his Marlborough premises. According to court papers, the charismatic preacher is accused of announcing on his television channel that he had discovered Aguma, which he claimed was a cure for HIV/Aids, cancer and other ailments. These sensational claims triggered a fierce backlash from both authorities and medical experts, who robustly criticised the claim, saying it had the potential of destabilising the government’s fight against HIV/Aids as some people were likely going to default on their medication. However, Magaya on Friday said he was willing and able to have the product tested. “Not even a single person is allowed to have it until they have (been) satisfied. My words still stand the same, I have never, there was never any day that I have said people must stop taking ARVs. I have never…said that. “People must take their medication and it’s very, very important. Remember, I have always said that medicine is a blessing from God, so they are going to give what I have a very tight test, very tight one to see if what I said is there. “So, today, we are actually preparing the schedule of how we are going to do it. “I don’t know how the scientists are going to decide, but (based) on my general knowledge, we are going to choose volunteers…it’s a process that needs the scientists to describe, so I will give them a chance to describe how the process goes. “But the good news…after all this…is they have agreed to test. To me…just for them to agree to test…that’s the good news, that’s the best news I received yesterday (last Thursday)..
“Please forgive whoever needs to be forgiven, educate whoever needs to be educated. What the police did was okay in terms of the law,” he said. Magaya’s claims, however, comes at a time when government is currently on an ambitious $103 million five-year HIV-testing strategy to raise the number of people who know their status.